My BLOG for the semester! 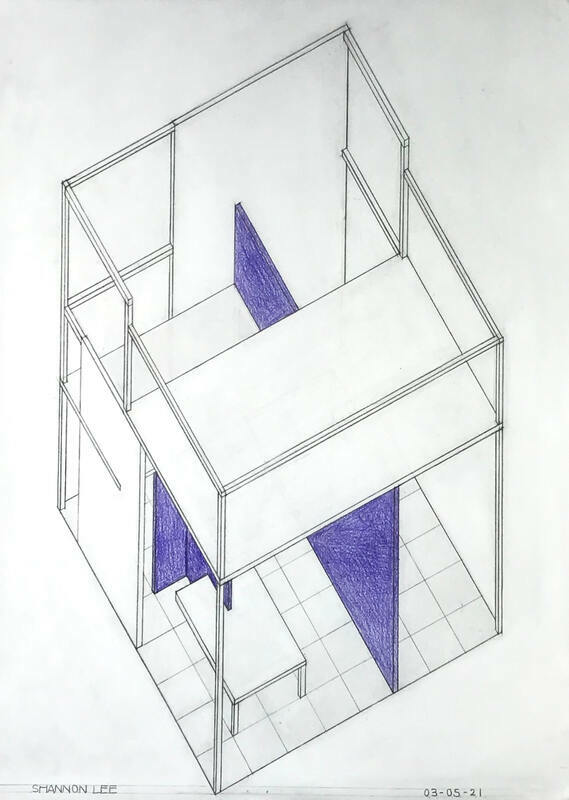 For this project our objective was to create a structure or project for a Texas State Park using the concept of walls we had learned in the beginning of the semester from looking at Mies and Mondrian. After much researching, I decided to use Enchanted Rock SNA as the home for my structure. What caught my attention was the ability to stargaze at this specific park. Therefore, I wanted my project to reflect that characteristic of the park leading to my efforts in researching and creating an observatory next to Moss Lake on Loop Trail, a trail not usually taken by hikers but a hidden gem because of the breathtaking view of the Enchanted Rock itself. Click here for a link to access more research I did on the park in the form of an infographic! Before we started to get rolling with this project, our instructor made us look at an architect and an artist: Mies and Mondrian. For the projects below we had to create a building based on a Mondrian piece and an artwork based on Mies' building. This exercise taught me the importance of keeping things simple. 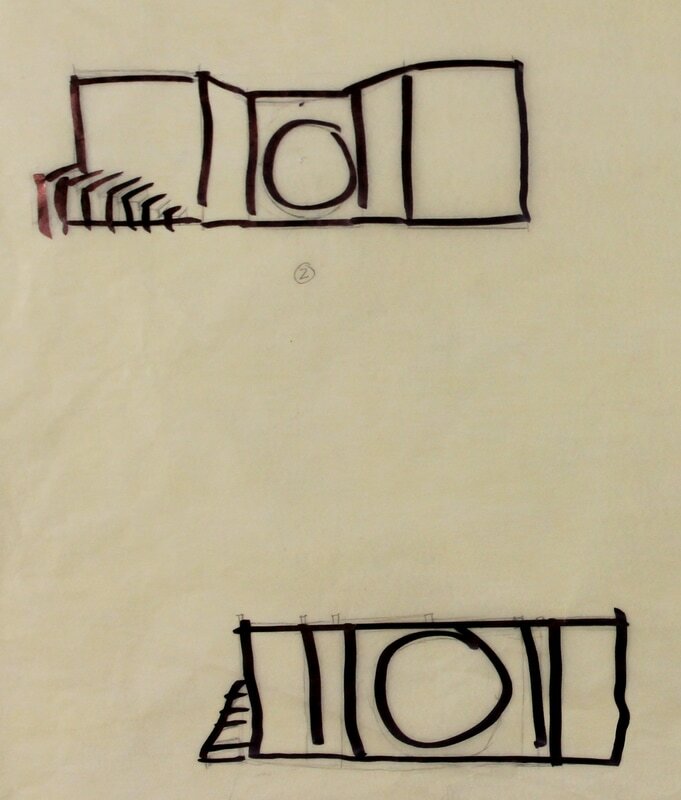 It also taught me the value and importance of a wall and especially its role in determining space and form. So after doing extensive research I started to brainstorm ideas in the form of trace paper sketches and gestural drawings. I realized that I wanted to create a structure that captured the beauty of the dark skies the park had a title for. 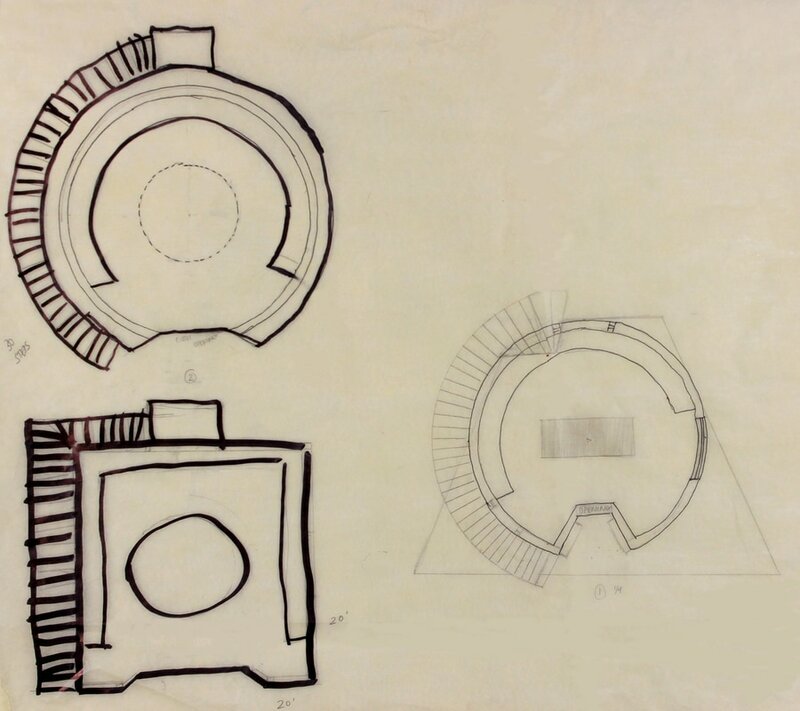 Therefore my initial sketches were leaning towards that of a natural observatory. Then I realized, duh, I have to also incorporate the actual Enchanted Rock itself so this resulted in my next stage of creating and using walls to encase these two favorite aspects of the park. I took a lot of inspiration from James Turrell and the Twilight Epiphany at first... but you'll see. The link below takes you to a time-lapse of the building in which I took a lot of inspiration from! 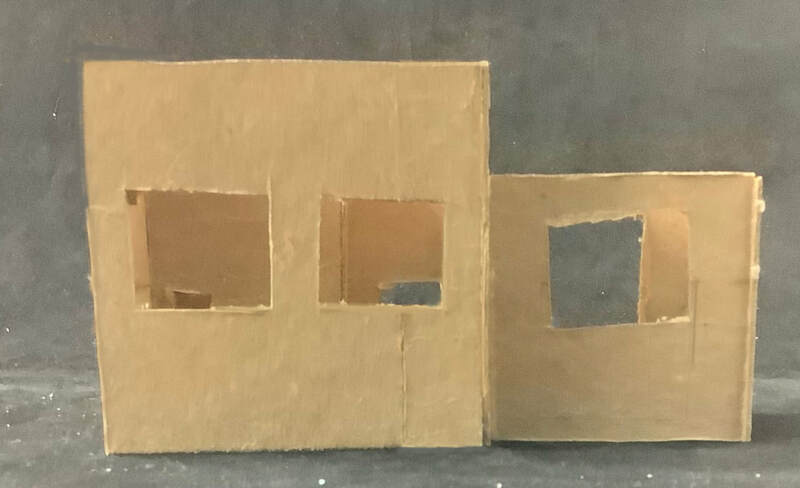 Maybe you can tell or not but I realized that building a model for the ideas I had at first seemed impossible because I'm not good with chip board and wood glue. Not only that, I was trying to imitate another architect and I wasn't about that life so I decided to create something of my own and it took some effort but here's what I came up with! 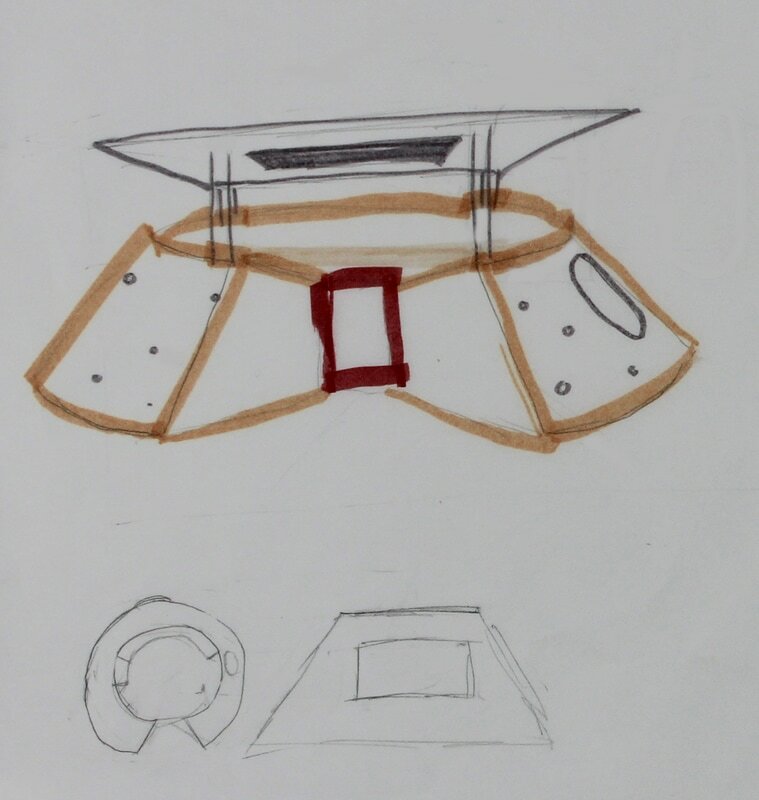 These following drawings and models embodied my final ideas after listening to critiques and brainstorming like crazy. 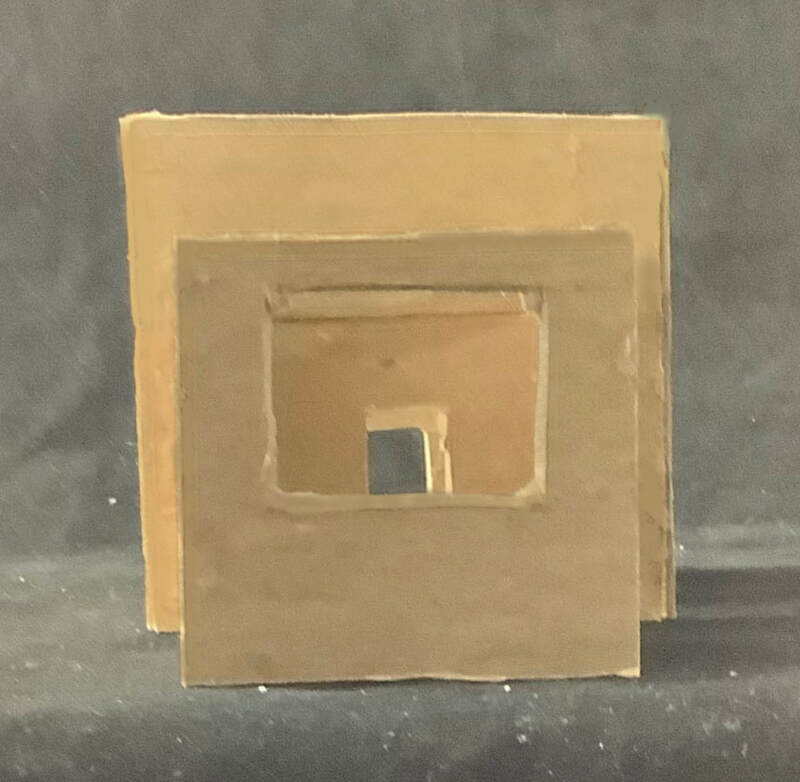 I decided to keep it simple and create a box like structure that had two circles (one facing south and one on the roof) to focus the observers' views. Also take a look at the stairs, it took a lot of brainstorming! 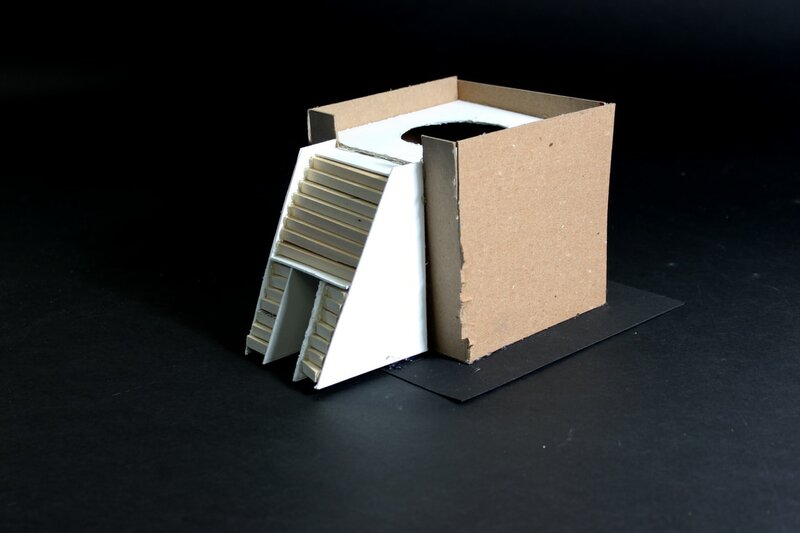 Overall, this project was the perfect introduction to Advanced Architectural Design because it was fun yet intriguing. My design and my process above is hopefully recorded well enough to convey the effort and thought I put into this project. The ability to make a person feel and see a specific way in a building/structure is pretty cool and achieving that with space and form was my goal! For our second project in this class, we were able to choose from two projects. 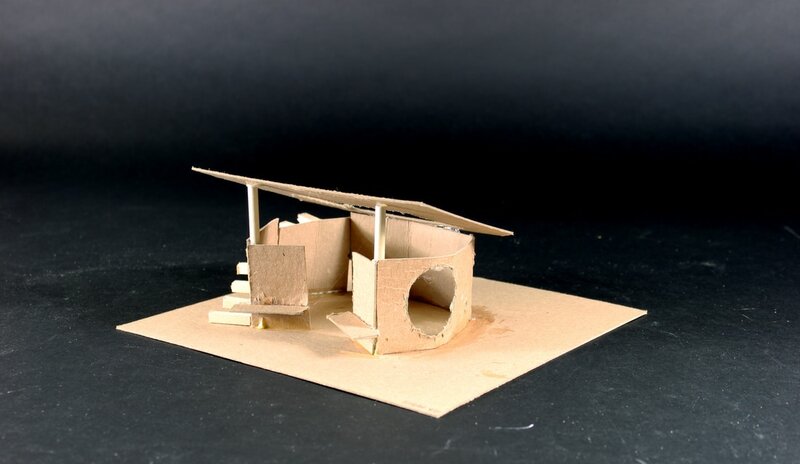 The project I chose was titled 'Maison Domino' and this title might seem familiar as it is the name of a concept of construction of structure by Le Corbusier. In fact, Le Corbusier was an intended source of inspiration, as an architect and artist, for this project. In the project brief, we were supposed to create a house for a pair of empty nesters who had wanted a retreat-like house that encompassed some of their special interests (a yoga studio for the wife and an observatory for the husband). 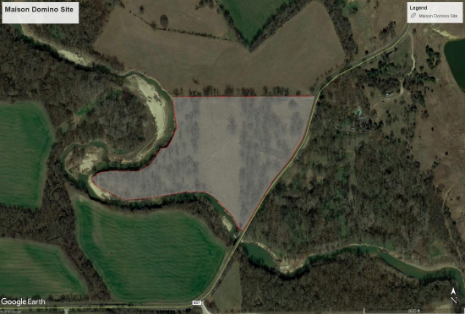 The site itself was a great space of land in Justin, TX that had a creek bordering off the land and a pond in the middle of site. The clients had emphasized their concern with the environment and wanting to be connected to nature. Taking this aspect of their list, our group's driving question became how we could connect the client to the environment. 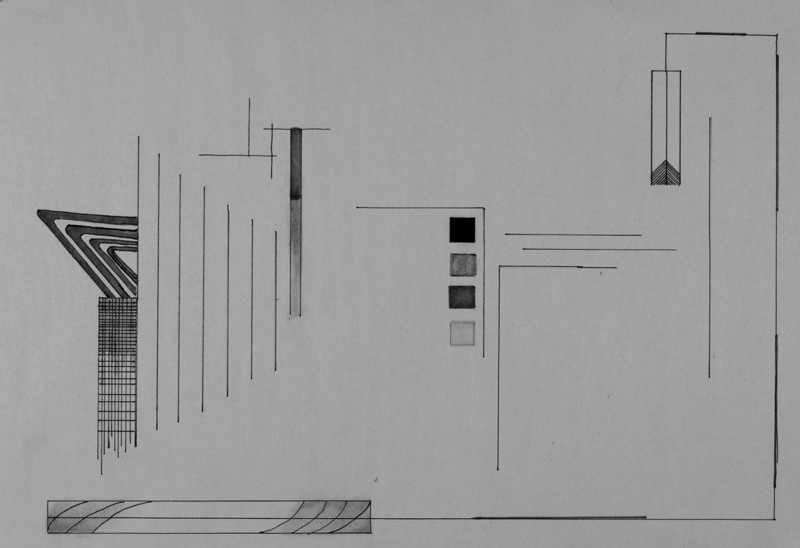 For my design process, I oddly started with drawing elevations first. Taking research that I did with my group, I used the Villa Savoye as a huge inspiration for my project with using ribbon windows and pilotis. I also decided to create huge open spaces for socializing in the living room and the second floor in general. I also wanted to isolate the special spaces for the clients in one area of the house so I did that by creating a different shape in the house with a circular room. Talking about each floor individually, I'll start with the first floor. For my first floor, I dedicated that floor to workspace for the husband and a service area for the wife. There is also a carport acting as a garage. 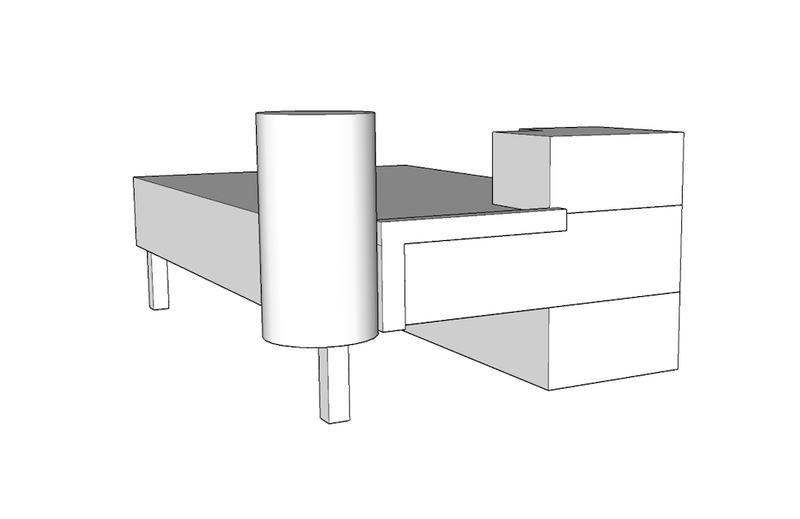 This was also based off one of Le Corbusier’s five points. Then there is the atrium, or a staircase, that leads to the second floor which houses a big social zone, an art room, dining & kitchen, a circular yoga room, and a private area for the guests. On top of the yoga room is the observatory/ lounge on the third floor. Going up the staircase once again you reach this floor, which has a master suite and a small kitchen/bar, and a garden roof/patio. I also wanted to connect the observatory with a hallway. My final design encompassed everything I talked about before: however, I added a patio on the second floor to mimic the creek on the site as well as an outdoor patio on the roof. I also placed windows specifically where I wanted a client to "connect" with the environment by looking at places in the house that would be perfect to view the vast site that had an expanse of trees and bodies of water to admire.